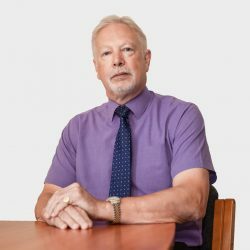 Tim has practised as a company/commercial solicitor in Sussex for over 25 years having been a partner in a long established firm in Brighton until recently when he joined the Wannops Commercial team based in Worthing. Tim acts for all sizes of owner managed businesses from the sole trader to regional players. For all clients Tim prides himself on providing clear practical advice on a wide range of company law matters, from business sales/purchases to internal reorganisations and associated document drafting. Tim also deals in commercial property transactions of all types and sizes, but with particular emphasis on investment property and own business occupation. Outside of work, Tim is a trustee for Whoopsadaisy a Brighton based charity specialising in helping children with cerebral palsy and similar disorders, he also plays (poor) golf.